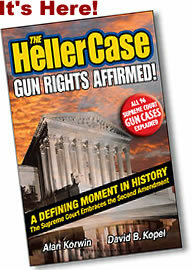 Phoenix Censors "Gun-Safety Ads for Kids"
Wed., Dec. 15, 2010 -- BILL OF RIGHTS DAY. The city of Phoenix has censored a set of 50 gun-safety advertisements aimed at children and their parents. Outrage is spreading statewide, after the city tore down the bus-stop billboards -- while we were negotiating a resolution! They claimed the ads were unacceptable public-service announcements -- as if that's wrong in the first place -- and the ads are 100% commercial, posted by a for-profit company, with sponsorship from businesses seeking firearms-training students and selling range time. Complete details below! You can place an advance order and be among the first to get a copy! This is going to shake up the self-defense world. Do you have the right to remain silent? Then how do you call 911? Do you have the right to an attorney during questioning? Then how do you justify calling 911, enduring their grilling, and spilling your guts into a police voice recorder? 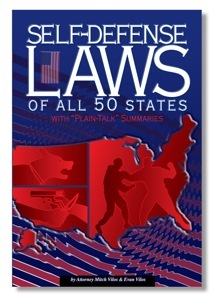 Criminal defense attorneys know that half of all convictions in self-defense cases rely on frantic 911 tapes. So what do you do? Owning a gun and knowing how to shoot is not enough to protect your safety. Be sure to get After You Shoot. The first of a series of billboards is now up on U.S. Interstate 17, facing southbound traffic into Phoenix at the Peoria exit, reaching 135,000 people daily. Phoenix doesn't control these as they do the bus stops, so they are unaffected by the city censorship czar. Bill boards are expected to be popping up all over the state in a matter of weeks. The city of Phoenix, in an apparently arbitrary move and without formal legal process, has forced CBS Outdoors to tear down 50 illuminated bus-shelter billboards under contract to promote gun safety training for children and their parents. 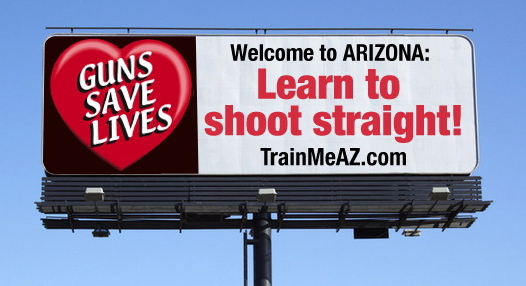 The posters were placed by TrainMeAZ.com, a commercial joint-educational effort of the firearms industry in Arizona, and had been up all over the Phoenix metro area for a little over one week before the city acted. Assistant Phoenix city attorney Ted Mariscal claimed in a conference call with Mr. Korwin and CBS Outdoor that the billboards weren't commercial enough, the message was too vague, and then demanded the message be changed to his satisfaction. When pressed for a definition of what is either sufficiently commercial or what defines a public service ad he declined to respond, referring instead to a 12-year-old 9th Circuit court case concerning a religious group (Children of the Rosary) and abortion ads. CBS is designing new art to please the city, but without guidelines of what's acceptable, there's no way to predict the result, and the TrainMeAZ campaign isn't exactly keen on this approach. Mariscal offered to provide the case he says matters, and the lease agreement he says allows the city to remove the ads. The case is now under review. No lease agreement has been provided, and the city apparently has no definitions in place, apparently leaving Mr. Mariscal to act on his own unfettered accord. Nothing in the city's advertising guidelines, provided by Mr. Mariscal, appear to justify the censored ads. In the meanwhile, TrainMeAZ is losing more than 800,000 impressions per day it had been receiving through this Phase One of the campaign. A bulletin billboard with a similar message and goal remains up on Interstate 17, through another company. It gets about 135,000 eyes driving by daily (facing southbound traffic near Peoria exit). Several outdoor advertisers have contacted TrainMeAZ in an effort to pick up the lost business for themselves. CBS has offered a slate of city billboards to replace the messages the city has banned. 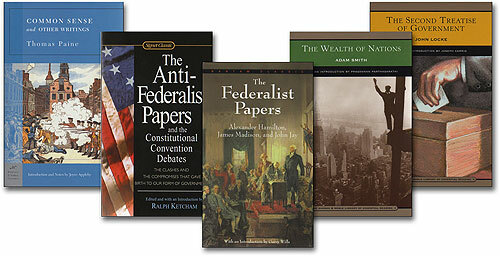 Government should stay out of the way of businesses trying to make it in these tough economic times, or in any times. Instead, government has become one of the biggest obstacles we face, Korwin noted. It's bad enough Phoenix has attacked our free speech, but now they're messing with our Second Amendment rights, and right before an election too. People who support this ought to be removed from office and punished for such malfeasance. Legislators aware of the problem have expressed outrage at the censorship effort by the city, and are preparing a plan of action. More news will follow soon. The program is an outgrowth of the Constitutional Carry law, effective in July this year, that frees all law abiding adults in Arizona to discreetly carry firearms. 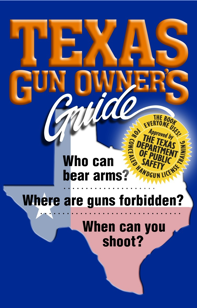 With the audience expanding from 2% of the public willing to apply and pay for a government permission slip to carry, to 50% of the public that possesses firearms, private industry figured this 25-fold increase in potential market was worth attracting. We put the power in your hands. Search. Find. Buy. Local media has jumped all over this censorship/Second Amendment story, with nearly non-stop radio and TV broadcasts. If you're ambitious, Google for links, and send me copies, I've been so swamped there is no time, you'd be helping out a lot. Try KFYI-AM, KTAR-FM, NBC-TV 12 in AZ, AZ TV 13, AZ TV 3. After You Shoot, my latest book (due out in the next few days) answers these life-or-death questions. 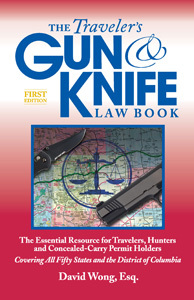 After you shoot in self defense, you face a possible murder trial. Even if you're completely innocent. And that may be a bigger risk to you than the would-be killer you just stopped. Advanced orders placed now will be the first copies shipped by us. When I give a speech (and I give a lot -- your group can be next, call me) I encourage the audience to organize a Range Day. The average person on the conservative side of the fence voices support for the Second Amendment but -- have they demonstrated that support? When was the last time they went to the range and exercised liberty's teeth?